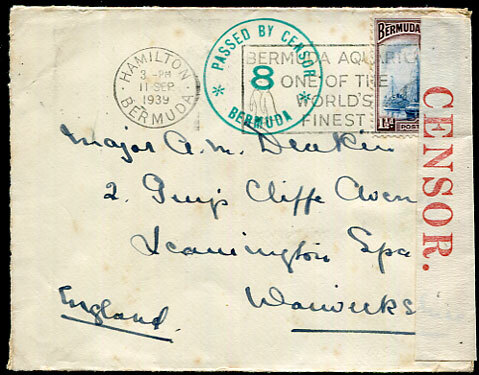 Green "8" (CM21) with red/white PC 22 label (earlier by 7 days than handbook) on KG6 1½d cover pmk'd Hamilton 11 SEP 1939 to Leamington Spa, Warwickshire. The Peter C. Burrows B.W.I. "British Empire Civil Censorship Devices" handbook (pub. 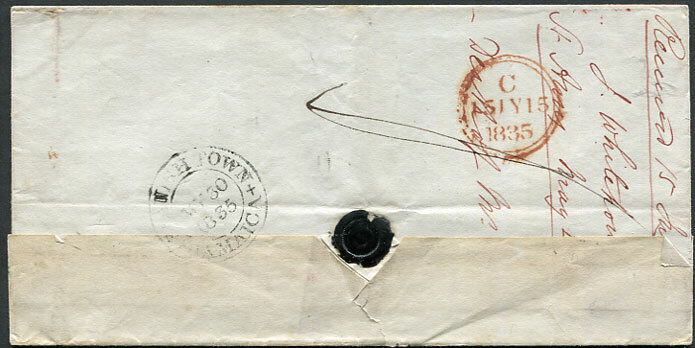 2010) records the use of this CL1 label as SP 18 1939 to AU 16 1940 and says "mostly seen used with CM21 No.2 and No.9"
(P1 in black) dated MY 30 1835 (the Foster ERD) on wrapper docketted as from St. Mary (MY 27) to London rated 2/2. 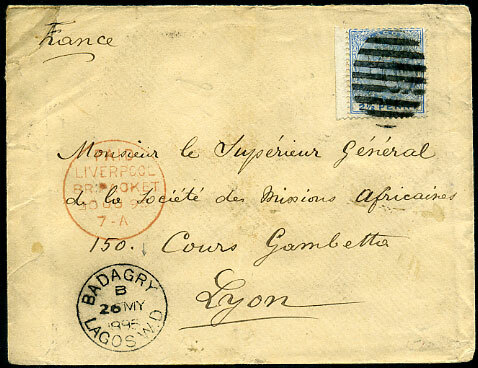 (Type 9B, D3) dated B/26 MY 1895 (ERD) alongside address panel on cover to the African Missions Society, Lyon, France with marginal QV 2½d ultramarine (SG.31) cancelled by manuscript squiggle and oval of bars with red PAID BR. 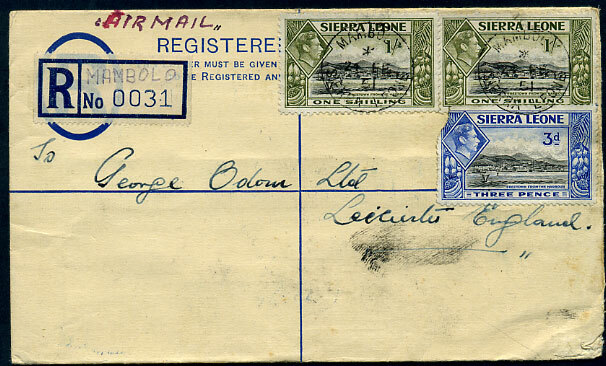 PACKET/30 JU 95/7-A arrival, reverse Lagos A/MY 27 95 and Lyon 2 JUIL 95. 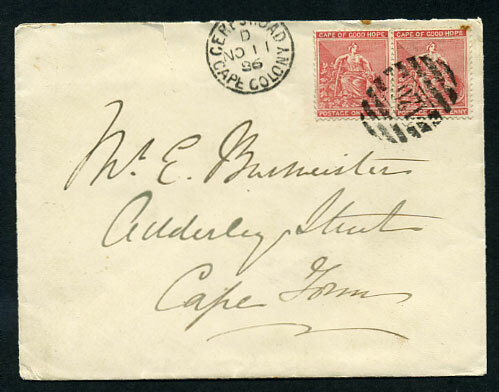 1898 outer wrapper with reverse showing an exceptional rare inclusion of watercoloured painting addressed to Miss Ambrose, Hampstead, London with QV 2½d tied oval of bars with rare POST OFFICE EPE (T.11) cds dated A/JU 7 1898 (ERD), lower left portion of this single sheet torn away. Ex JOHN FORREST. 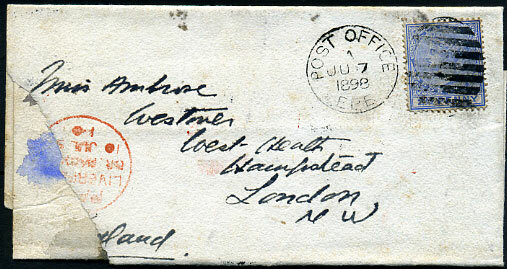 (Proud Type 173, ERD) on QV ½d Reply Post Card (reverse blank) pmk'd KINGSTON 3D/FE 26 90 sqc from Capt. 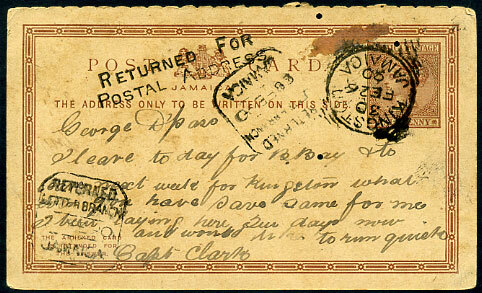 Clark to a George D'Pass with text reading "I leave today for Buff Bay and to leave next week for Kingston. What you have for me save for me. 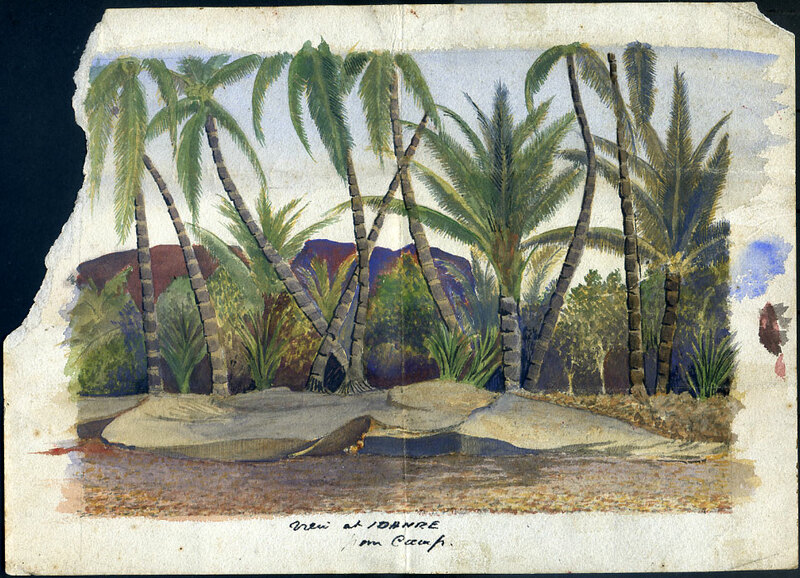 I been laying here six days now and would take to rum quickly". He obviously did as with no postal address. (103.01) on KG6 3d PSRE with added KG6 3d (defective corner), 2 x 1/- dated */24 FE 51 (ERD), m/script MAMBOLO reg. h/stamp (No.0031). 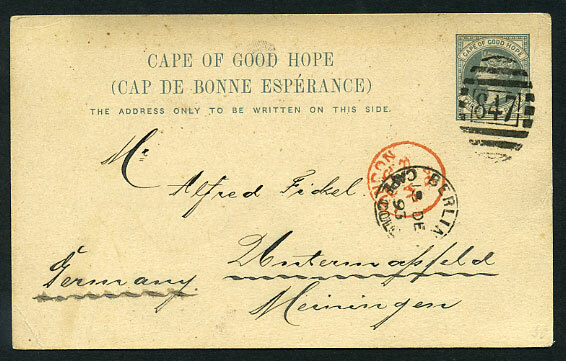 D/NO 11 86 (ERD) on 1d pair (SG.49) cover to Cape Town. Smaller faults. 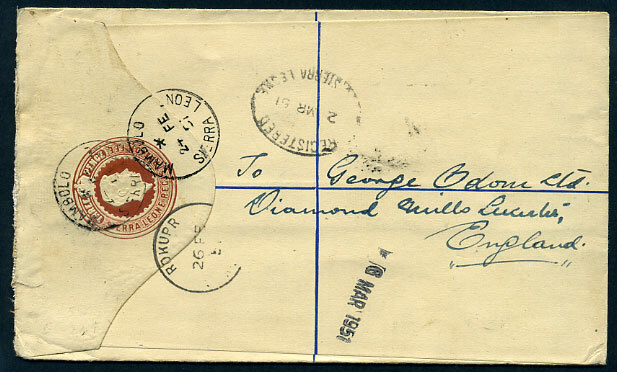 13 DE 93 (ERD) on QV 1½d Post Card to Germany.